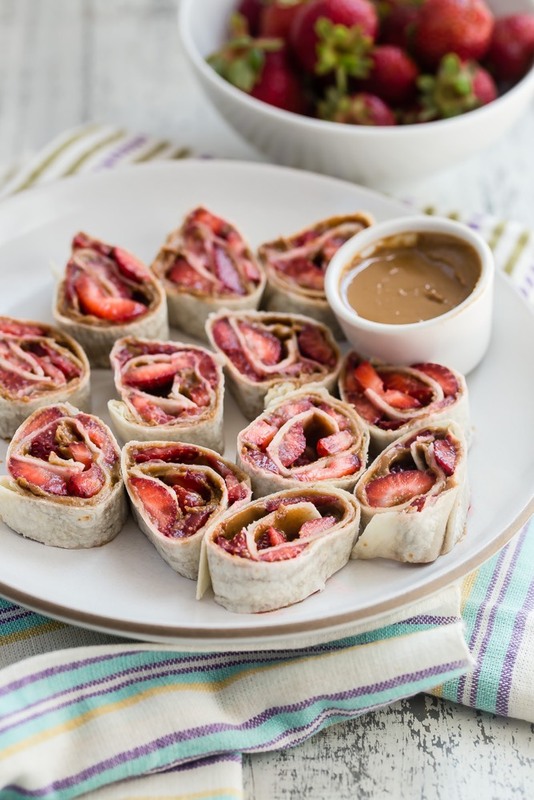 Banana dog bites have been one of the most popular recipes on Weelicious for 7 years! They're insanely kid friendly and make a perfect addition to the lunchbox. I wanted to make something just as delicious, but even more school lunch friendly for those with allergies or nut-free schools. Strawberry SunButter Bites are exactly what I was looking for! Add these tasty little bites to school lunch if you want the lunchbox to come home empty. Our friends at Little Passports, Minted, One Potato, Romper, Strider Bikes and Tea Collection picked everything you need to send your little citizens back to school in style! The Back to School Sweepstakes is live and we want you to win! Head here to enter to win the $2,000 prize pack! 1. Place the tortillas on a flat surface and spread each with 2-3 tablespoons sunbutter. 2. 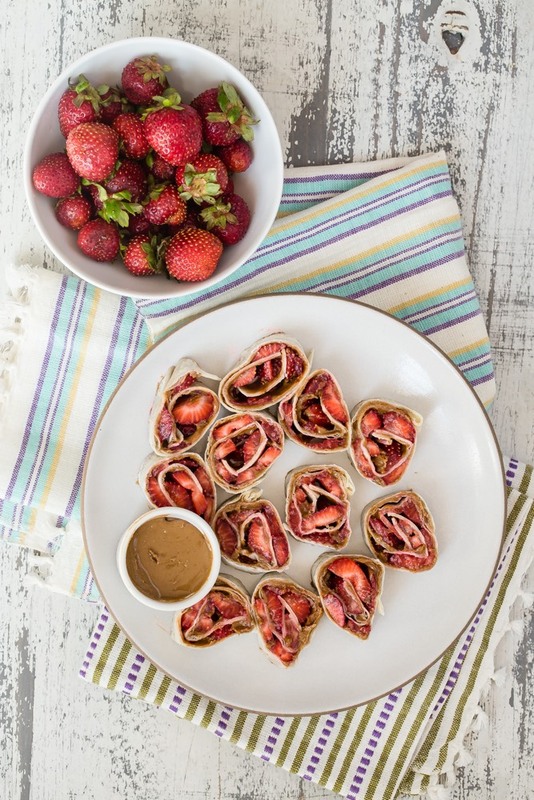 Divide the strawberries between the wraps and tightly roll up pressing the edge of the tortilla with sunbutter to adhere. 3. Place the wrap seam side down on a cutting board and cut into 1 inch wheels.